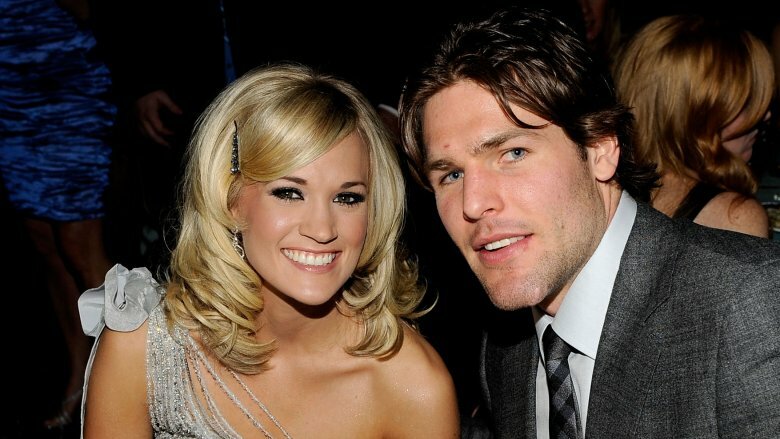 Country music's sweetheart Carrie Underwood tied the knot with former NHL star Mike Fisher in 2010. Their wedding, held at the Ritz Carlton Reynolds Plantation in Georgia, seemed to mark the beginning of a storybook romance, but their marriage has proved to be anything but conventional. Here are some unique characteristics about this match. 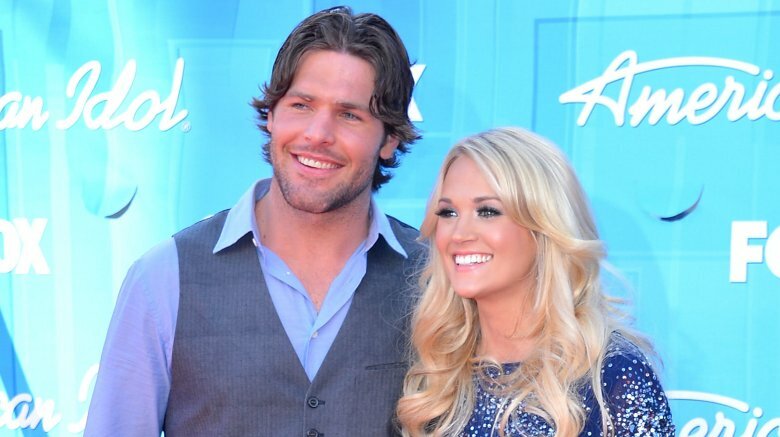 After almost five years of marriage, Underwood and Fisher welcomed a child together. Isaiah Michael was born Feb. 27, 2015, according to a tweet from the new mama. 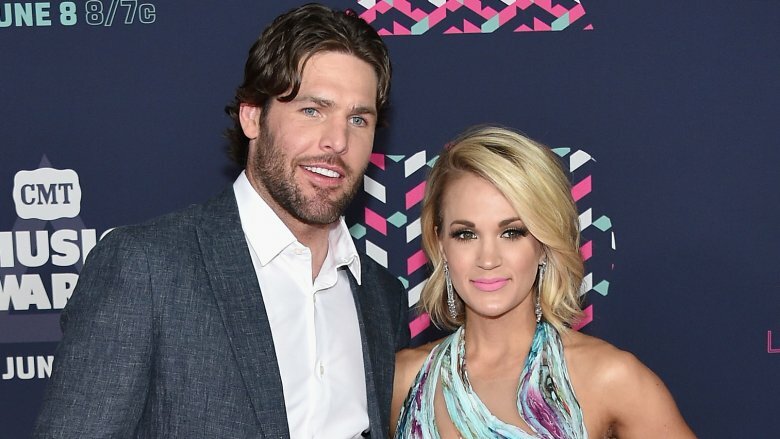 After their bundle of joy arrived, Underwood gave an interview to E! Online. 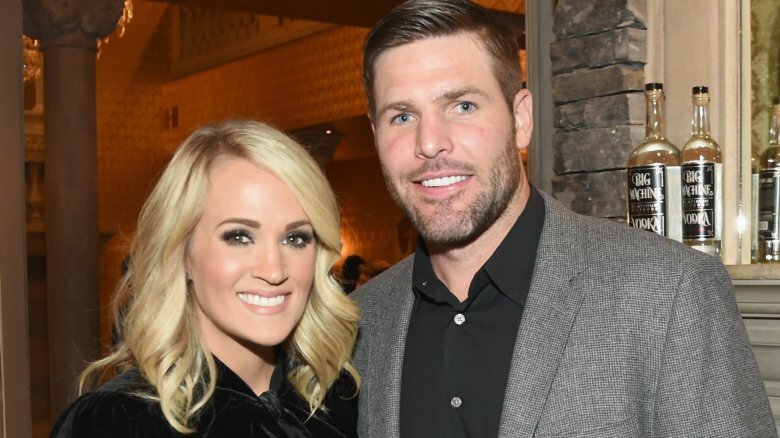 When asked if she and Fisher were still "honeymooning" years after their walk down the aisle, she didn't pull any punches. "No!" she said with a laugh. "We have a kid. That went out the door with the poopy diapers. I think that's when the honeymoon phase, if it hasn't ended already, that's when it officially ends — when you have a child." Underwood assured her fans there was nothing to worry about. "We're still very much in love, a very deep love but it's just different," she said. "It morphs a bit." Whew. She had us shook for a moment! They say that opposites attract, and that old adage proves true for this pair. During a conference in Nashville (via The Christian Post), she revealed that their biggest difference is that she's an animal lover and her husband is an avid hunter. This initially caused a bit of discord in their relationship. Underwood explained that it was challenging for the pair to find common ground. She felt "passionately about animals," while Fisher felt "more connected to God while out in the woods." To make things even trickier, Underwood is also vegan. So what's a girl to do? If your answer is: slash a hole in all four tires, nice guess. But the country singer decided to compromise instead. They agreed to avoid meat from "large-scale farms" and only serve meat that Fisher had killed. The couple has even learned to poke fun at their differences, judging by their choice of Halloween costumes. 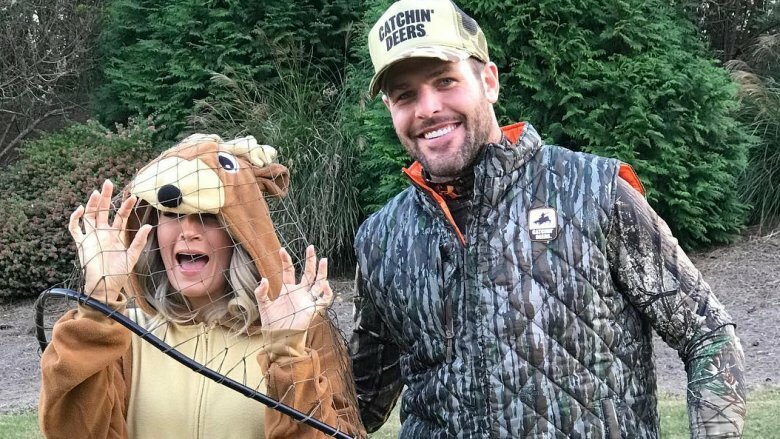 In a 2017 Instagram post, Fisher shared a picture of him dressed up as a hunter and Underwood dressed as a deer caught in his net! 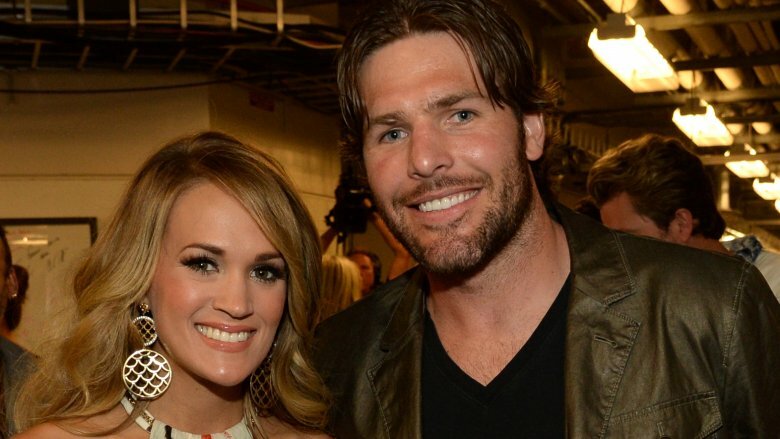 When they first met, Fisher was playing center for the Ottawa Senators while Underwood was busy recording music and touring the world. 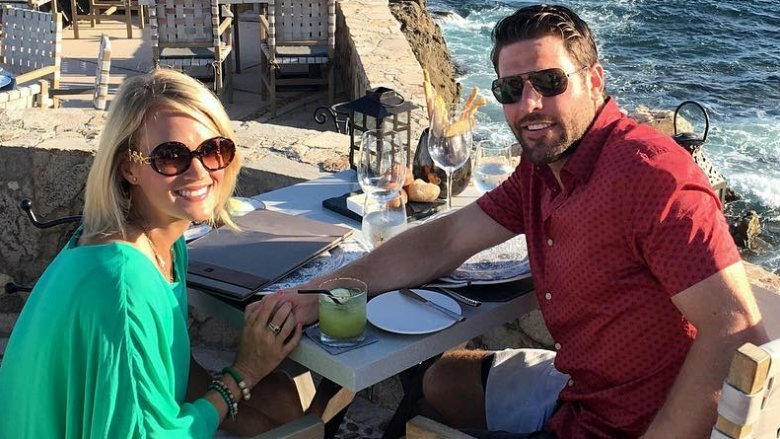 A year after their wedding, they were able to bridge the gap in their bi-coastal romance when the Senators traded Fisher to the Nashville Predators, where Underwood was based. The ice hockey player was a bit disappointed that he was leaving the Senators after 11 seasons, but he soon found out the trade was done with his best interests at heart. Senators' General Manager Bryan Murray reportedly said, "You know Fish, I just wanted you to be with your wife." During an April 2013 interview with People, Underwood admitted that although they were finally based in the same state, they still spent an enormous amount of time apart. At the time of the interview, she revealed she hadn't seen him in a week due to her long tour schedule and his busy hockey season. Despite their separation, she was determined to keep their union afloat. "You just have to commit and make it work," she said. In 2017, Fisher announced he was retiring after 17 seasons, according to the Chicago Tribune. 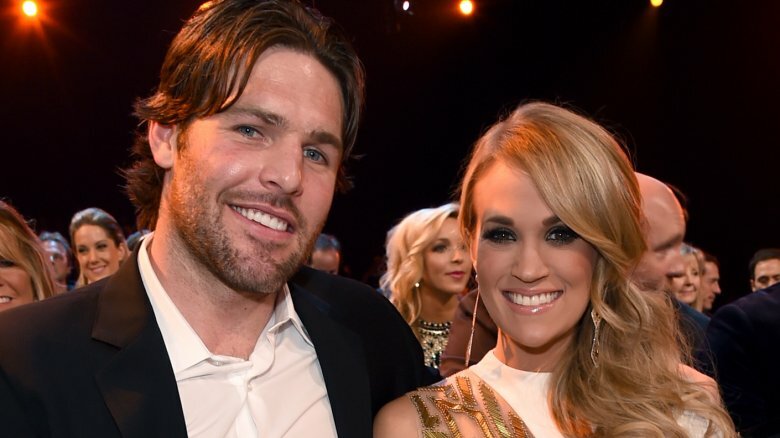 Hopefully, this means these two lovebirds will be able to spend some more time together. In case you're still questioning Underwood's devotion to her marriage, the singer told People her husband is her top priority and she'd ditch her music career "if Mike ever told me he needed me to quit." Don't freak out: Underwood also noted that she wouldn't be retiring anytime soon and Fisher still "completely supports" her professional ambitions. During an episode of VH1's Behind the Music (via Country Living), the Grammy award-winning singer recalled the first time she met Fisher. The country crooner said she wasn't "looking for a long-distance relationship, let alone marriage," but when her bassist, Mark Childers, wanted to introduce her to Fisher, she agreed, despite being a bit skeptical. "Let's get a hockey guy who lives in another country. Awesome," she joked. Underwood suggested they meet backstage at one of her concerts, and you know what happened next? Instant fireworks! "Hot, hot, hot," Underwood texted Childers after meeting Fisher for the first time. The feeling was mutual. On the VH1 series, Fisher chimed in that Underwood was "more beautiful in person than on TV." After that fateful day backstage at her concert, it was another three months before the two would see each other again face to face. On Dec. 31, 2008, they had their first real date watching the ball drop to ring in the new year. Underwood told Glamour (via Country Living) that she knew Fisher wasn't a "big PDA guy," so she decided to make the first move to lock lips. "I figured, I'll go in for it because he can't leave me hanging, right?" she said. "So I made him kiss me in public." Attagirl! Many people have an entire Pinterest board dedicated to their future wedding day long before they're even engaged, but Underwood is not your typical person. In an interview with People, she confessed that she never even dreamt of her wedding day, nor did she envision "the perfect guy." That all changed when she met Fisher. She reportedly had to take a moment and say to herself, "Wow, so now I know what I was missing." Her albums are full of love songs, but in real life, Underwood admits that she's not very romantic. 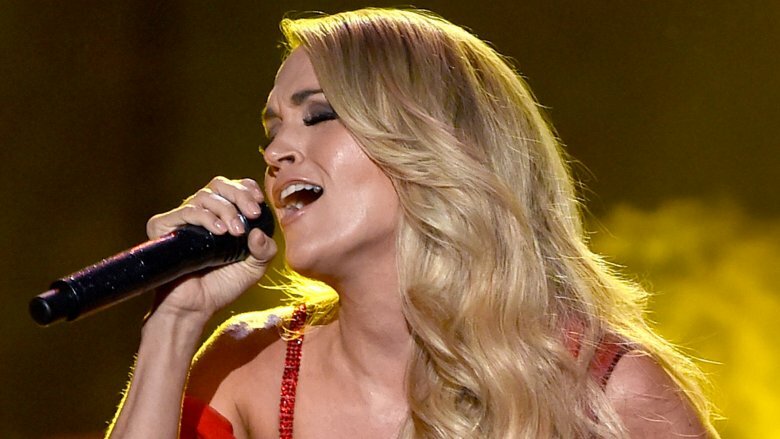 When speaking about her 2015 hit song "Heartbeat" from her Storyteller album, Underwood said the "fairy tales and bubblegum and butterflies" that go along with love songs were not part of her "reality." She told E! Online, "I don't do romance very well, at least not in my music." 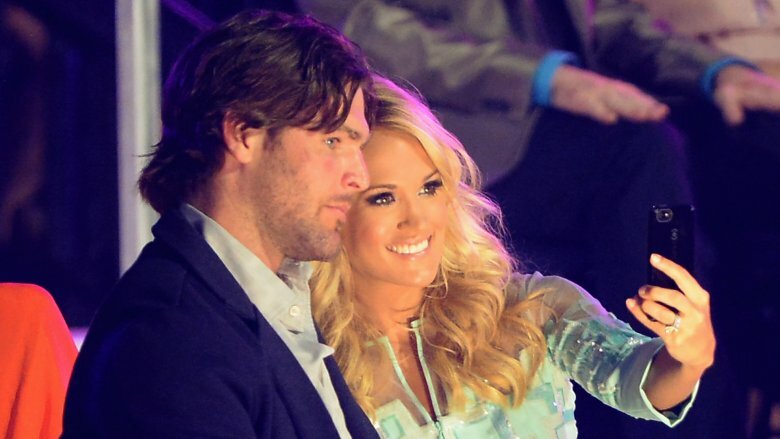 She also shared that her best moments with Fisher are when they can be alone and enjoy each other's company. "It doesn't have to be all presents and Romeo and Juliet," she said. "It can be simple and lovely." Growing up in a family of five, you would think Underwood would be used to sharing her personal space, but since her two siblings are much older, Underwood considers herself to be an "only child," according to an interview with Marie Claire. She thinks hanging out solo during her childhood was the catalyst for some difficult situations in her marriage. During an interview on The Ellen DeGeneres Show (via Hollywood Reporter), Underwood said she initially found it hard to deal with Fisher and "all his stuff." She added, "Now we share. We're much better. I'm better. I've got the only child syndrome thing, like I don't share my toys or my space. We're doing well." "Doing well" is an understatement according to the "Something in the Water" singer. In a 2015 interview with Cosmopolitan, Underwood said she was shocked that everyone around her was getting divorced. "They're dropping like flies!" she said. "But [Fisher and I] are good. It helped that we were both established before we were married. Neither one of us could be like, 'I didn't know it would be like this!'" Being thousands of miles away from her hubby at times means Underwood depends on other methods to help keep them connected. The singer opened up to Ladies Home Journal (via E! online) about how they keep their love alive when she's busy on the road and he's at home in Nashville. "Communication, trust, and Skype are key," she said. Modern technology is cool, but after belting out tunes all over the globe, we suspect nothing beats physically being with the one you love.